5 - Ren Navarro 2 — Our Ink, Our Stories. Ren Navarro hates getting tattooed. She absolutely, without a doubt hates it. Yet, she’s covered in them. For her, it’s all about the art. “I love the art . . . it’s a collaboration between you and a person that you have to trust,” she said over coffee at the Yeti Cafe. On her right arm, just below her shoulder, is an anatomical heart with rays coming out, like a bright beam of sunlight. 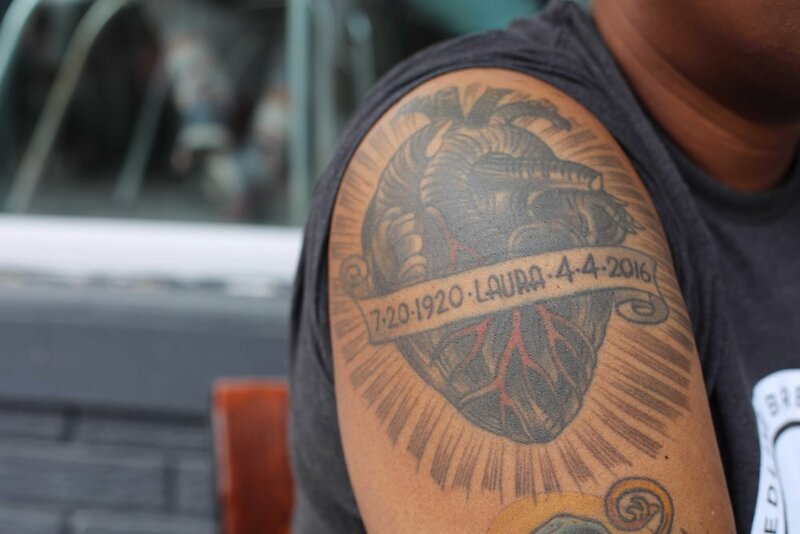 Across the middle is a banner that originally was blank, and now hosts her grandmother’s name, Laura, in an art-deco font, a nod to her birth year of 1920. Ren’s grandmother played a big part in her upbringing, well into adulthood — she lived to be 95. When she passed, adding her name into the empty banner was a no-brainer. “It’s a nice remembrance and it’s always there. They got me, they’re on my shoulder,” she said of the artwork, done by Jay Decator of Passage Tattoo in Toronto. The heart, in black and grey with a few deep red veins, is made of clean, strong lines with the traditional style banner scrolling across the middle. Curious about the artistic process? 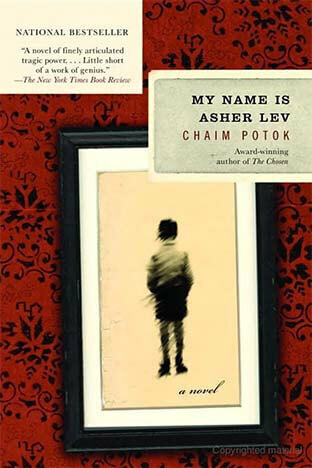 "My Name is Asher Lev" records the anguish and triumphs of a young painter as he grapplew with his own identity.